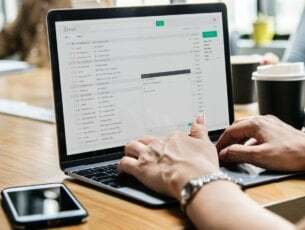 USB Type-C connector is an emerging USB standard that is gaining popularity. Many smartphones and tablets are using USB-C port, and even some desktop computers and laptops have this new USB port. This port isn’t compatible with standard USB-A ports due to its smaller size, and in order to use USB-C device you’ll need an appropriate cable or adapter. Speaking of which, today we’ll show you the best USB-A to USB-C cables for your Windows 10 PC. What are the best USB-A to USB-C cables for your Windows 10 PC? USB-C port usually comes with USB 3.1 standard so it offers up to 10Gbps transfer speed. This cable comes with a USB-C port on one side and USB-A port on other so you can use it to connect your USB-C device such as a smartphone or tablet to your PC. In addition, this cable can be useful if you already have a USB-C port on your PC but you need to attach an external hard drive or any other device that has USB-A port. If you want to achieve the maximum performance be sure that both your PC and your USB device are using USB 3.1 standard. This cable will work with older standards, but your transfer speed will be limited by older USB standard. It’s also worth mentioning that this cable supports data transfer as well as charging and it can provide up to 3A power output. Since this is a USB-C cable it comes with reversible USB-C connector, so you’ll connect the cable with your device easily every time. Belkin 3.1 USB-A to USB-C Cable is 3 feet long, which should be enough for most users. Regarding the price, this cable is available for $19.49. If you don’t have a USB 3.0 or USB 3.1 port on your computer, you might want to consider this cable. This is a USB 2.0 cable, and it supports transfer speed up to 480Mbps. On one side of the cable there’s a standard USB 2.0 Type-A connector that you can connect with your PC, and on the other there’s a USB-C connector. Since this cable has a reversible USB-C connector you can connect it to your device easily. This cable supports both data transfer and powering and speaking of which, it can provide up to 3A of power to charge your USB-C device. It’s also worth mentioning that this is a 6 feet cable, so it will be perfect for most users. This is a decent cable, and it’s USB-IF certified, but unfortunately it doesn’t offer high transfer speed. If you have USB 3.0, 3.1 or USB-C port on your computer, we recommend that you get a different model that offers maximum 10Gbps transfer speed. 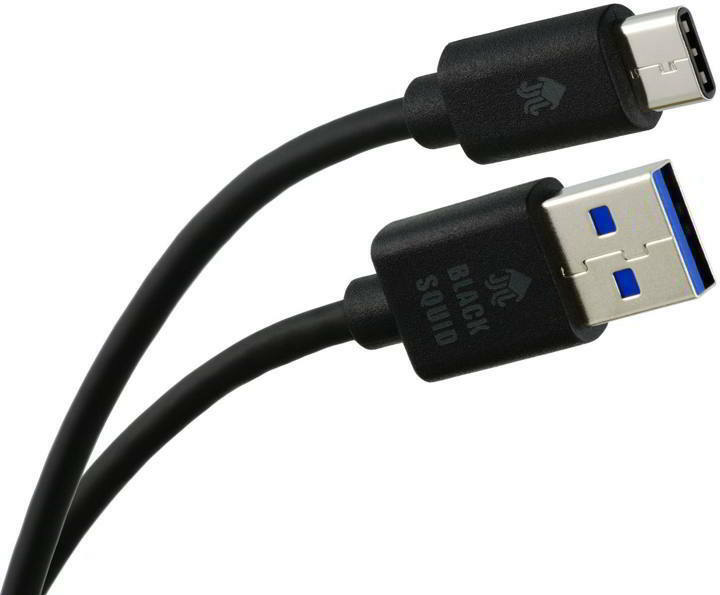 If you have a PC with older USB 2.0 port, you can get this cable in several different colors for $13.68. Unlike some previous entries on our list, this cable uses USB 3.0 standard, so it can achieve transfer speeds up to 5Gbps. In comparison, the USB 3.1 standard can provide up to 10Gbps which is a major improvement. This is a simple USB-A to USB-C cable and you can use it to attach your USB-C device such as your smartphone or tablet directly to your PC. In addition, this cable is perfect if you have a USB-C port on your PC and you need to attach a device that has a USB-A port to it. This is a 3.3 feet cable and it will be perfect for most users. As we already mentioned, this cable uses USB 3.0 standard, so if you have a USB 3.1 port on your PC, we recommend that you purchase a USB 3.1 cable in order to achieve the maximum performance. If your PC has USB 3.0 port and you’re interested in this model, you can get it for $8.99. USB-C ports usually come with USB 3.1 standard that provides 10Gbps transfer speed. However, not all PCs are equipped with USB 3.1 ports, and some users still have USB 3.0 Type-A ports on their computer. If you’re one of those users and you don’t plan to upgrade to USB 3.1 anytime soon, this cable might be perfect for you. This is a simple USB-C to USB-A cable, but unlike some other entries on our list, this model uses USB 3.0 standard. This means that you can transfer files at 5Gbps speed. Compared to USB 3.1 standard, that’s two times slower. If you’re pleased with 5Gbps transfer speed and you don’t plan to upgrade, you can get 6 feet model for $15.81. Of course, 3 feet and 1.5 feet models available as well. This USB-A to USB-C cable comes with 56 kilo ohm identification resistor that will provide safe charging to your device. Regarding the charging, this device offers only 2.4A current. The cable has premium aluminum housing and nylon fiber jacket, so it looks rather durable. 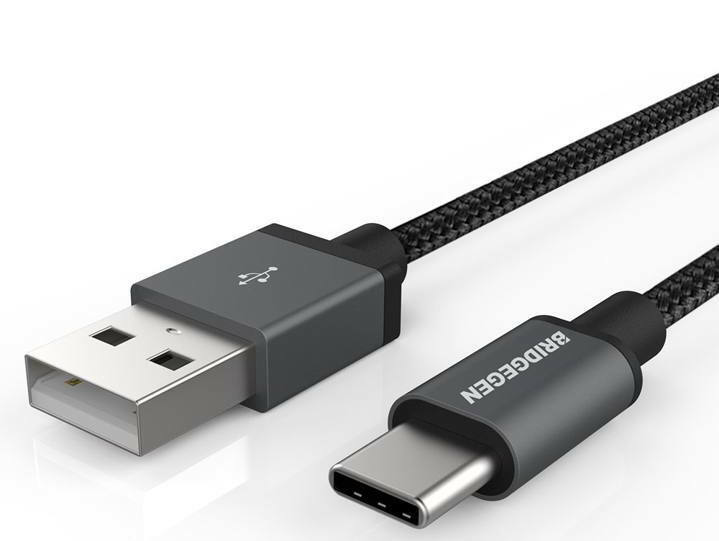 Since this is a USB-C cable it comes with reversible design and you can easily connect it to any USB-C device. The cable is 6.6 feet long, so it will be perfect for all your needs. This is a decent cable, it has a great length and it’s durable, but its biggest flaw is that it uses USB 2.0 standard. If you have an older PC with USB 2.0 ports and you don’t plan to upgrade in near future, this cable might be perfect for you. If you have USB 3.0 or USB 3.1 ports, you won’t achieve maximum transfer speed and you’ll be limited to 480Mbps. This is a decent USB-C to USB-A cable for older computers, and you can get it for $10.99. If you use an older USB 2.0 port, this USB-A to USB-C cable will be perfect for you. This cable has reversible USB-C connector so you can connect it to your device with ease. This cable is 6.6 feet long, so it can easily reach any USB-C device. It also worth mentioning that this cable has 5V voltage and 56 kilo ohm resistor that will protect your device. The cable supports both charging and data transfer and it provides maximum 2.4A current. This cable is rather durable thanks to the nylon cord and aluminum casing that has 4000+ bend lifespan. It’s worth mentioning that this is a USB 2.0 cable, so you’ll achieve only 480Mbps transfer speed. 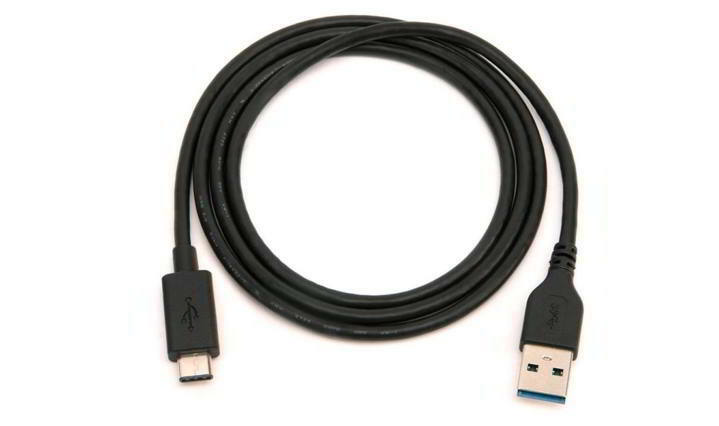 This cable is great if you have a PC with USB 2.0 port, but if your computer has USB 3.0 or USB 3.1 ports, we suggest to get a USB 3.1 cable in order to achieve the maximum performance. The cable is available in three different colors, and you can get it for $9.99. Connecting your USB-C device with your PC is simple if you have an appropriate cable, and speaking of which, this cable is made for users that still use USB 2.0 port. Just like all other cables, this one has a reversible USB-C connector so you can easily connect it to any device. This cable supports both data transfer and charging, and it has 56 kilo ohm resistor that prevents charger damage. The cable uses foil and braid shielding so it provides a reliable signal. Speaking of which, the cable has molded strain relief and gold plated connectors that last longer than regular connectors. If you use USB 2.0 ports this cable will be perfect for you, but if you have a USB 3.0 or USB 3.1, you might want to get an appropriate cable. This cable offers up to 480Mbps transfer speed while USB 3.1 standard offers 10Gbps. Cable Matters USB Type-C to Type A is a decent cable for olders PCs, and you can get 6 feet model for $6.95. 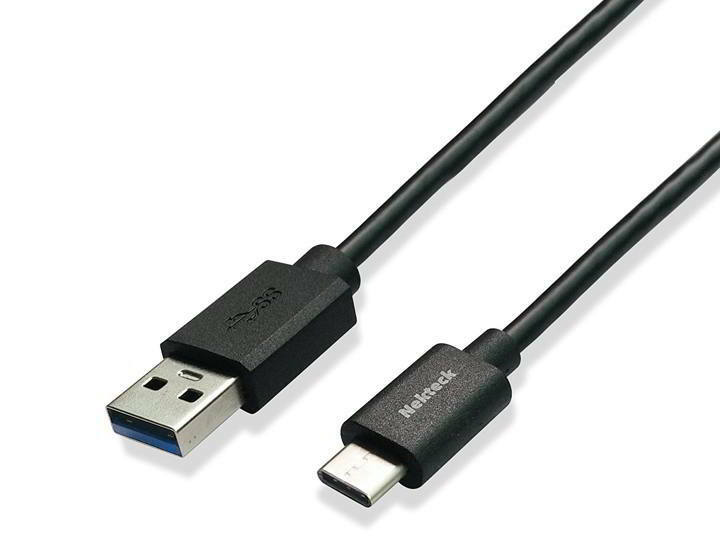 This is another cable for older PCs that use USB 2.0 standard. This cable has PVC jacket and aluminum-mylar foil with braid shield type so it offers a solid durability. The cable has USB-A and USB-C connectors with nickel plating. 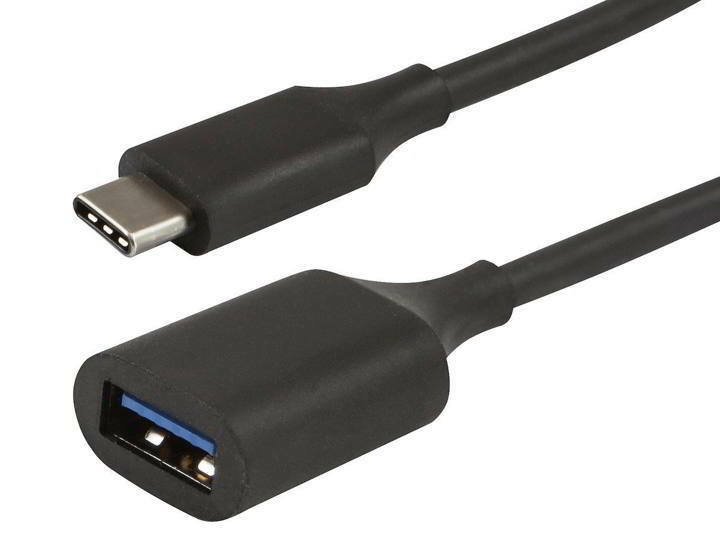 Since this is a reversible USB-C cable, you can connect it with your USB-C device in matter of seconds. The cable is 3.3 feet long which should be enough for most users. It’s worth mentioning that this is a USB 2.0 cable, so you’re limited to 480Mbps transfer speed. If you don’t plan to upgrade your PC in near feature and you’re pleased with USB 2.0 transfer speed, this cable can be perfect for you. If you use USB 3.0 or USB 3.1 standard on your PC, we strongly suggest that you get a USB 3.1 cable for maximum performance. 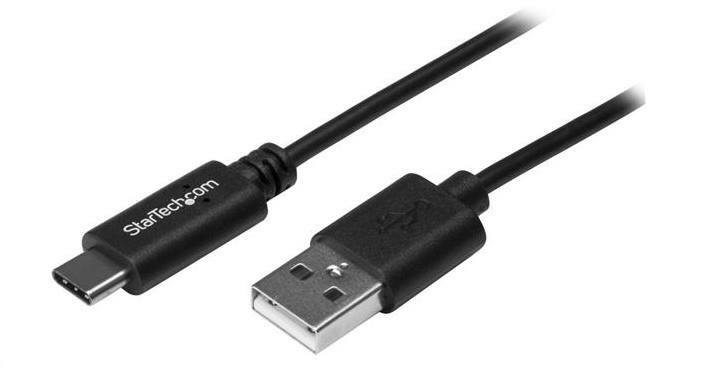 This is a solid cable for users that still have USB 2.0 port on their PC. Regarding the price, this cable is available for $16.99. If you don’t have USB 3.0 or USB 3.1 ports on your PC, this cable might be perfect for you. This is a 10 feet cable, so you can easily attach any device to your computer. Thanks to the reversible USB-C connector, you can connect this cable with any USB-C device easily. This cable offers charging and data transfer, and it can provide 5V 2.4A output. As we already mentioned, this cable isn’t compatible with USB 3.0 and USB 3.1 standards, so you’re limited to 480Mbps transfer speed. This is an extra long cable that will be useful to any user that has a USB 2.0 port and a USB-C device. If you have USB 3.1 or USB 3.0 ports on your PC, you might want to get a model that supports USB 3.1 standard for maximum performance. This cable is perfect for older PCs, and you can order it for $7.79. In order to achieve maximum performance with your USB-C device, you need to have USB 3.1 port on your PC. This cable from Cable Matters fully supports USB 3.0 standard and it offers transfer speed up to 5Gbps. In addition to USB 3.0 support, this cable is compatible with USB 2.0 standards so it can work with almost any PC. This cable has a 56 kilo ohm resistor that will prevent charger damage but it also has gold plated connectors and molded strain relief. The cable is fully shielded so it provides protection against EMI/RFI noise. Of course, the cable has USB-C reversible connector so you can easily connect the cable to any USB-C device. Regarding the length, this cable is 3.3 feet long. 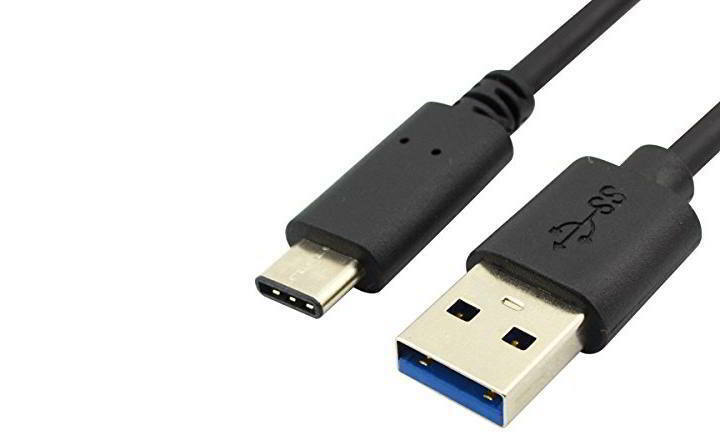 Cable Matters USB 3.0 C to A Cable is one of the best USB-A to USB-C cableson our list. 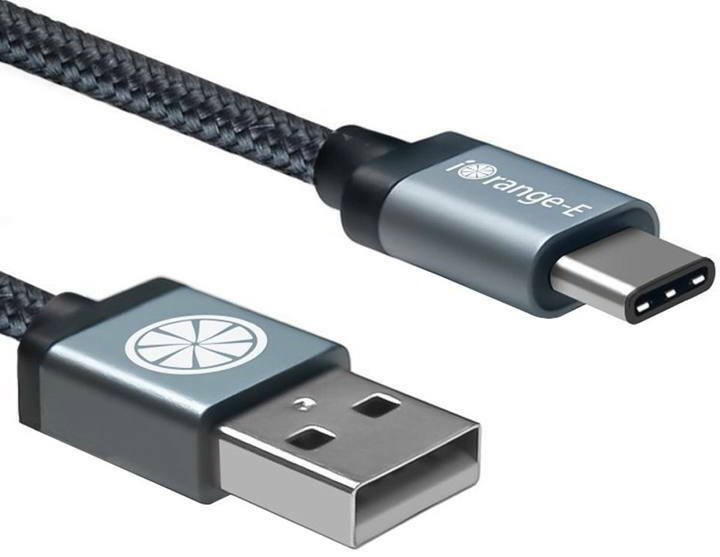 The cable is fully compatible with USB 3.0 standards, and it offers decent transfer speed. In addition, it offers decent durability and compatibility with older USB standards. The cable is available in black or white color and you can purchase it for $5.95. Unlike all the previous entries on our list, this one comes with USB-C male and USB-A female connector. 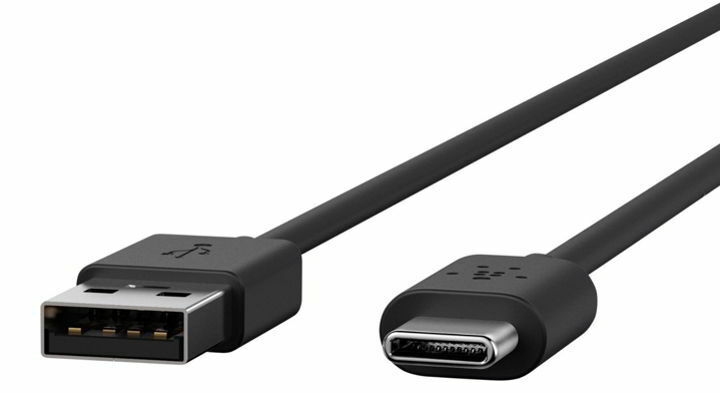 This cable is perfect if you have a USB-C port on your PC and you need to connect a USB-A device such as a digital camera or a USB flash drive. This cable has PVC jacket and its connectors are made from reinforce zinc-alloy. 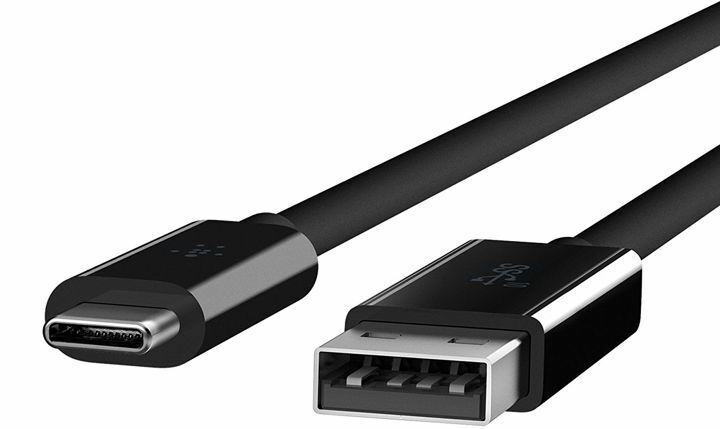 The reversible USB-C connector allows you to connect this cable to any USB-C device in a single attempt. It’s worth mentioning that this is a USB 3.0 cable, so it will provide up to 5Gbps transfer speed. 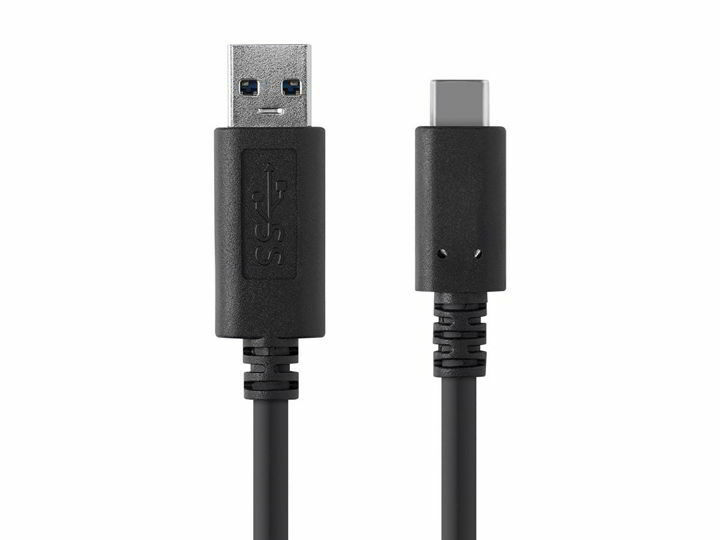 Monoprice USB 3.0 USB-C Male to USB-A Female cable is a decent USB-A to USB-C cable especially if you have a USB-C port on your PC and you want to connect USB-A devices to it. Regarding the price, 6-inch cable costs about $16.09. Of course, there are 1.5 and 3 feet models available as well. 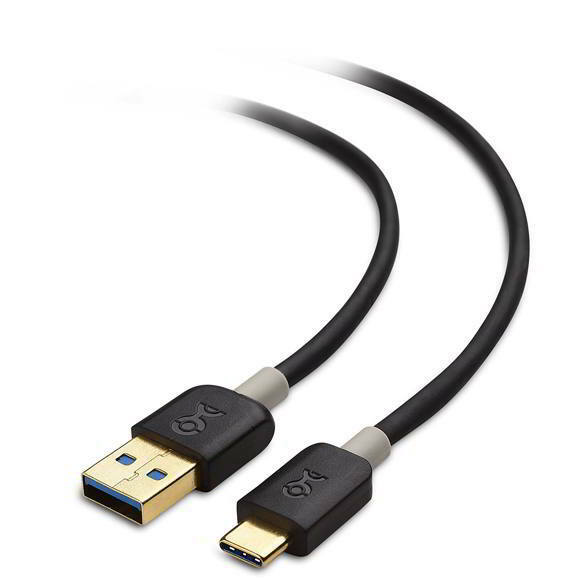 If you have a USB-C device that you want to connect with your PC, you might want to consider this cable. The cable has a USB-C connector that you can easily connect to any device thanks to its reversible design. This cable allows you to charge and transfer data to your USB-C device with ease and it supports USB 3.0 standard. This means that you’re limited to 5Gbps transfer speed. This is a decent USB-A to USB-C cable, but if you have a PC with USB 3.1 port, you might want to consider getting a USB 3.1 cable that will provide you transfer speed up to 10Gbps. 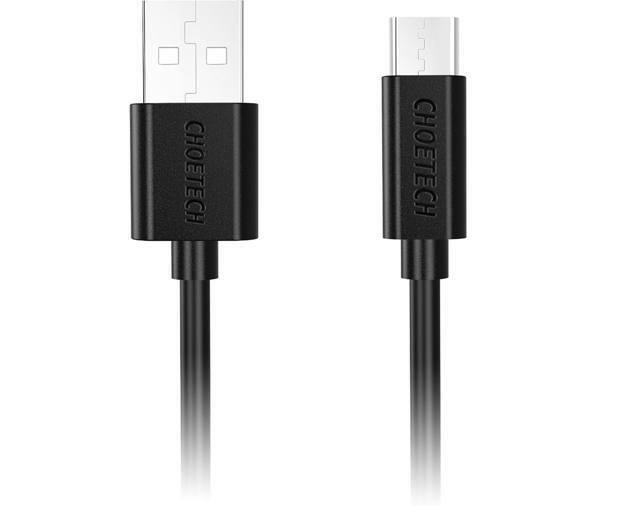 If you’re still interested in Griffin USB-C to USB-A Cable, you can order it for $14.99. 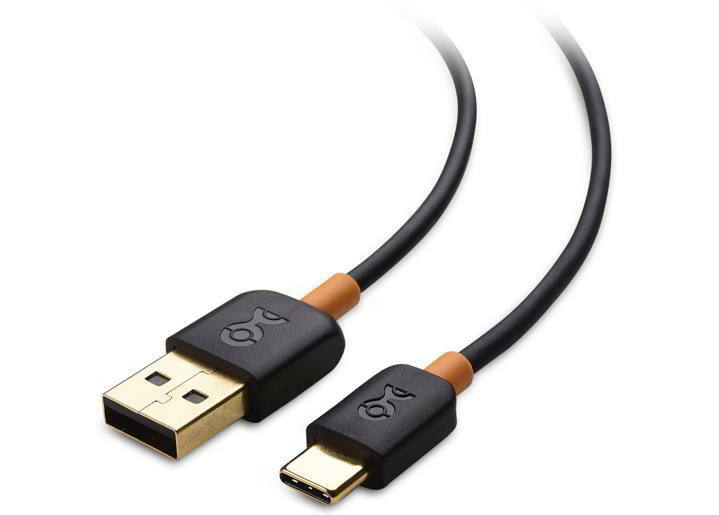 Connecting a USB-C device to your PC is rather simple if you have a cable such as Winplus Tech Type-C to Type-A cable. This cable has reversible USB-C connector so you can connect it to any USB-C device with ease. Regarding the speed, it’s worth mentioning that this cable uses USB 3.0 standard so you’re limited to 5Gbps transfer speed. The cable has high-quality connectors and copper wire that provides the best performance. It’s worth mentioning that the cable has a built-in 56 kilo ohm resistor that will protect your device while charging. Winplus Tech Type-C to Type-A cable is a decent cable, and it’s only limitation is the USB 3.0 standard. If your PC has USB 3.1 port, you might want to get a USB 3.1 cable that offers the maximum transfer speed. Regarding the price, this cable is available for $6.99. If you have a USB 3.0 port and a USB-C device, this cable might be perfect for you. The cable has reversible USB-C port, so you can quickly connect it to any USB-C device. It’s worth mentioning that this cable has 56 kilo ohm resistor that will protect your devices during the charging process. Since this is a USB 3.0 cable it offers up to 5Gbps transfer speed, but it also works with older USB standards. If you have USB 3.1 device, we highly recommend that you use a USB 3.1 cable since it provides 10Gbps transfer speed. 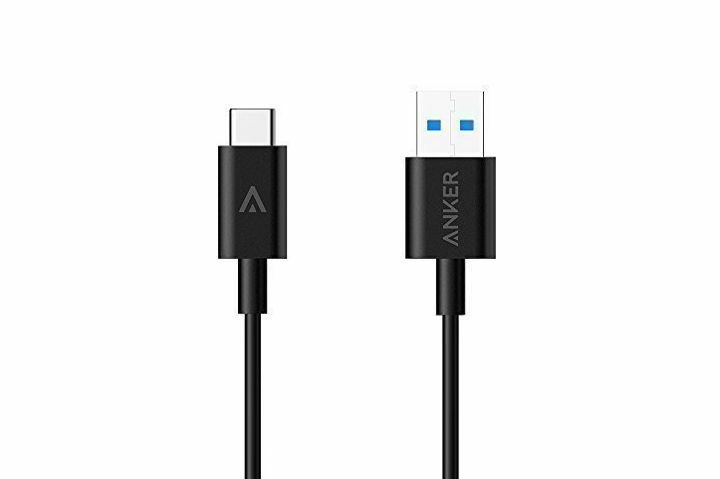 This is a simple cable, and 6.6 feet model is available for $7.95. If you need a shorter cable 3.3 feet model is also available. 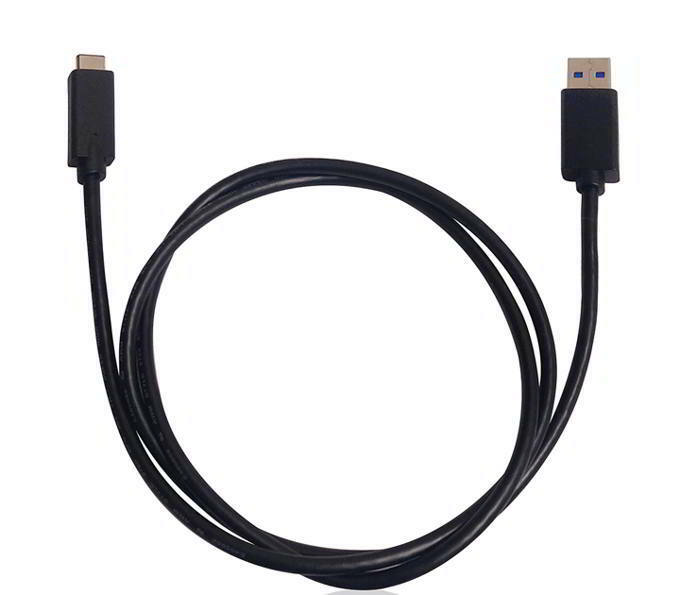 This is another USB 3.0 cable, and it provides transfer speed up to 5Gbps. The cable also has 56 kilo ohm resistor that will protect your device during charging. Even though this is a USB 3.0 cable, it should work perfectly with any older USB standard. Just like all cables on our list, this one has reversible USB-C connector, so you can connect it easily with any USB-C device. The connector can sustain about 10 000 uses, so it’s perfect for demanding users. Nekteck USB Type C Cable is a solid USB-A to USB-C cable, and it’s available in black or white. There are two sizes available, and 6.6 feet model is available for $8.99. Of course, 3.3 feet cable is also available. If you want to quickly transfer files from your USB-C device to your PC, you might want to consider this cable. The cable comes with a reversible USB-C connector so you’ll be able to connect it to any USB-C device quickly. It’s worth mentioning that this cable comes with copper shield that will protect your cable and enhance its durability. Regarding the transfer speed, this cable can charge your device and deliver up to 10Gbps transfer speed. There are two models available and you can get the 6.6 feet model model for $8.99. If you need a shorter cable, 3.3 feet model is also available for purchase. Connecting your USB-C device to your PC is relatively simple even if you don’t have the USB-C port. If you want to connect your USB-C device to your PC, you can easily do so by using any cable from this article. Keep in mind that in order to get the best performance you need to have a USB 3.1 or USB 3.0 port on your PC and a suitable cable.